When does an artist start planning to be in an art fair or art festival? 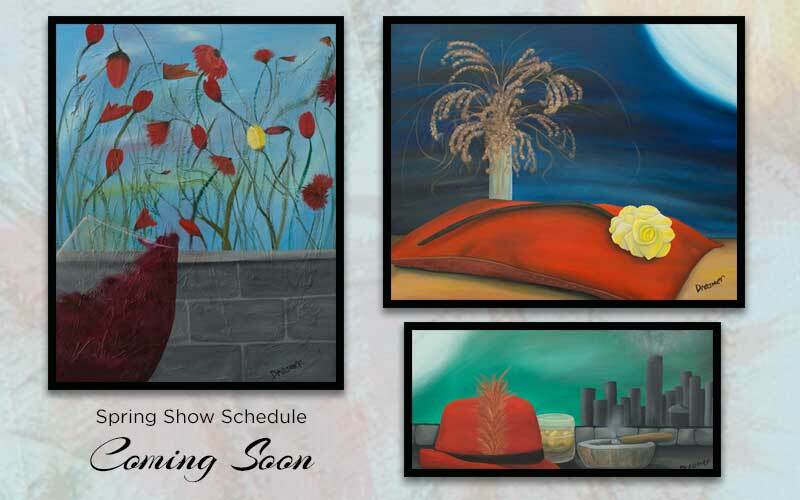 Starting in late winter and fall, art festivals and shows will put out their schedules for the following spring and summer. Artists have to apply to these shows. After the deadline, then all of the applications, along with an image of their booth and 3-4 images of their work that will be displayed, are presented to a panel of judges. The images are flashed across a large screen or monitor and the Jury Presenter will read the artist’s statement. The jurors get a total of about 6-20 seconds to see the examples of work and mentally process the artist statement, then they give it a score. Anything related to the artist’s name must be blocked out. This prevents favoritism. In other words, when they see the images and hear the statement, they have no idea who the artist is. What is the process for artists getting into art fairs and art festivals? There maybe 300 applications that come through for a show that can only fit 100 booths, so they get to pick the cream of the crop. Usually, each show will have certain criteria that they want to follow and not all shows look for the same thing. One show may really like to have artists that are more traditional, where other shows want artists that are a bit more quirky. The artists with the highest scores are then taken to round 2 of the judging. In this round, the judges take a little more time to look, but not a whole lot more. Some shows will end at round 2, some will have several rounds until they get the artists they want. Some will have waiting lists and some not. If an artist is good, can they just get into any art festival? An artist maybe be one of the highest caliber in his/her field, but if their images are not high quality, they don’t get in. They may sell more than anyone else at a particular show, but if their booth shot doesn’t present well on the screen, they don’t get in. See examples below of my booth shots. The one on the left, I sold a lot of artwork, but the judges see it as cluttered (and a little crooked). The one on the right, I got in every show I applied for with that shot. It’s clean and well presented, plus almost sold out of artwork with it. But, these are for different shows as well…indoor and outdoor look for different things. So many factors go into an artist getting into a show. I put in applications for several shows that will be from March through June. I’ll start hearing back in February on which ones I made it and which ones I didn’t. This is the first year that I’m really trying hard to get into some of them. Last year, I did … sort of, but it was a rough year with lots of family stuff and was thankful when I got the email that I didn’t make it. It’s expensive to do a show and I would have had to cancel on all of them. How do artists find information on art fairs and art festivals? Cross your fingers for me, please! And, I hope to see you at many of the shows.